An exclusive three bedroom apartment with river views located in the prestigious Harrods Village riverside development. A fantastic three bedroom flat located on the second floor of William Hunt Mansions an original period building within the exclusive Harrods Village development. The accommodation comprises of three bedrooms, three bathrooms, kitchen, reception room and an abundance of storage throughout. The dual aspect reception room and master bedroom benefit from dramatic views to the River Thames. All three bedrooms are incredibly light and benefit from custom made wardrobes. There is a 24 hour concierge service at this secure gated development 7 days a week. Residents of the development have use of the private swimming pool, steam room, sauna, gym and conference room. The apartment comes with two secure underground parking spaces. 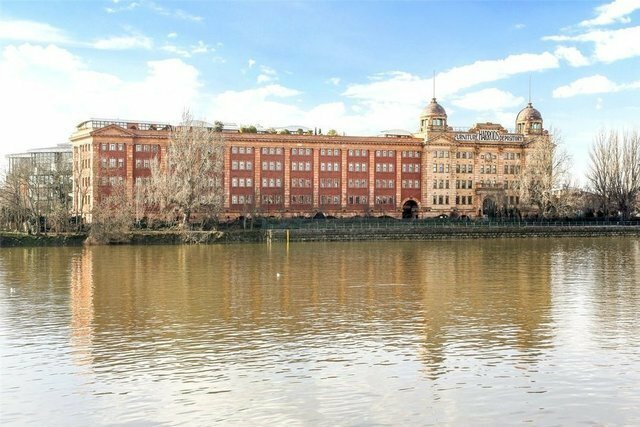 William Hunt Mansions is situated in the much sought after Harrods Village development, which fronts the River Thames. There are many excellent schools nearby including St. Paul's, Barnes Primary School, Ibstock Place and Tower House. With its village like feel there are many pubs, restaurants, coffee shops and independent boutiques in Barnes. Barnes also offers convenient National Rail links to Waterloo and Clapham Junction. Hammersmith Broadway is a short walk across Hammersmith Bridge where Piccadilly, District, Circle and Hammersmith and City London Underground services can be found.